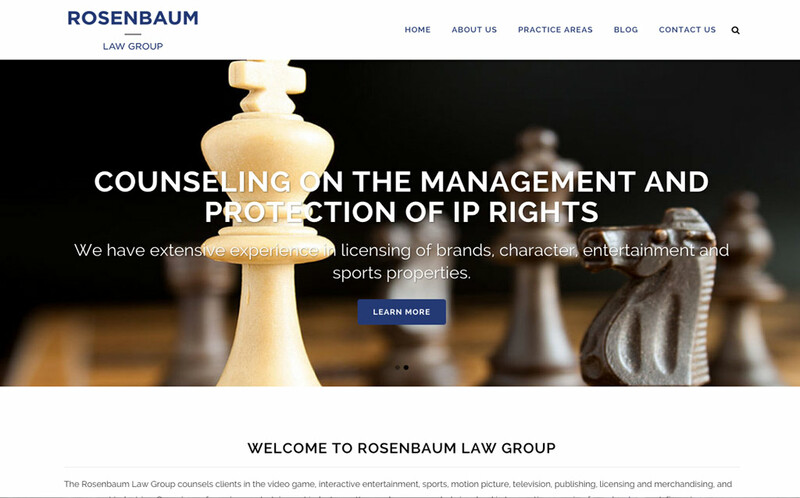 The Rosenbaum Law Group counsels clients in the video game, interactive entertainment, sports, motion picture, television, publishing, licensing and merchandising, and amusement industries. 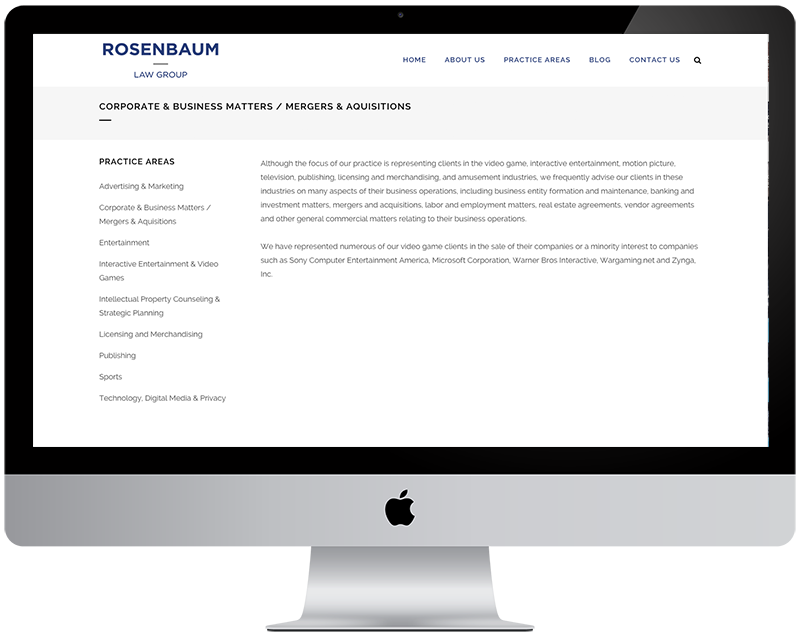 Our goal was to redesign their website in an effective matter while using modern practices. The result led to a WordPress solution & Responsive layout.